The First Lady pointed out that while great strides have been made by women in Africa — including that “the number of women who serve in parliament in Rwanda is over 50%, which by the way is more than double the percentage of women in the U.S. House” — greater efforts are still needed to address the consequences of harmful traditional practices. The First Lady also highlighted the stories of several Mandela Washington Fellows including that of Fikiri Nzoyisenga from Burundi who created a youth coalition to address violence against girls. Panelist Tcheguan Adebo Koba, Washington Fellow, addressed the need to go beyond acknowledging the rapid economic growth in African countries and find ways to make societies more inclusive. He lauded the Mandela Washington Fellowship’s public management track and called for greater opportunities for African youth entrepreneurs to gain access to markets across regional borders. What has Yonas enjoyed most about the Young African Leaders Summit so far? “The networking, attending Obama’s speech and how he is simple to relate to for any aspiring young person, and community service culture in USA,” he shared. 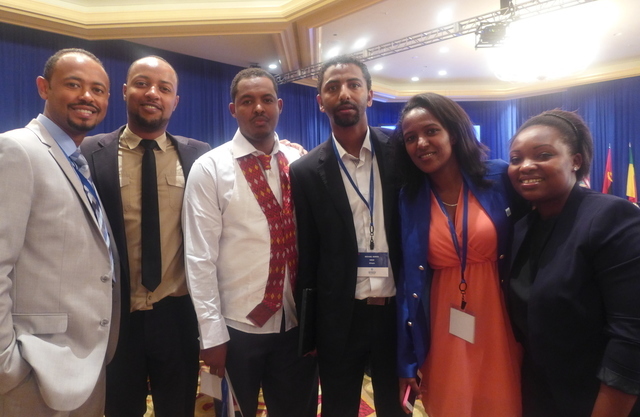 Below are some photos from the Presidential Summit for Young African Leaders.